Starting an online shop can be a really challenging experience. Despite what other people thing, there’s a lot of stuff to do, not just set up the site and wait for people to start buying your products or services. Actually, sometimes it can even get a bit frustrating, since even though you have a decent amount of visitors, they barely convert. Fortunately, there’s a great way to get the max out of all your traffic: remarketing. Yes, that’s right! Using this relatively new concept, you can get past visitors back on your site and even make them buy what you’re selling. Sounds interesting, right? There are a couple of excellent companies on the marketing, offering this type of service, so a beginner can have some difficulties in choosing the best one, but that’s why we’re here. We’ve made a top with three of our favorite picks, in order to make your mission to grow your business easier. Retargeting.Biz is also offering Email triggers and reminders, like Cart Saver email, Product of Interest email or the inactivity trigger, perfect for bringing back past visitors and transform them into customers. And the best part about them is that they have an open rate than can go up to 80% and a click rate of 68% or more. These numbers should be enough to convince you about the efficiency of their service! Oh, and one last aspect! You do know that people check their phones a few times per day, right? Well, Retargeting.biz is also offering SMS triggers, in order to make sure that you don’t miss any potential client! 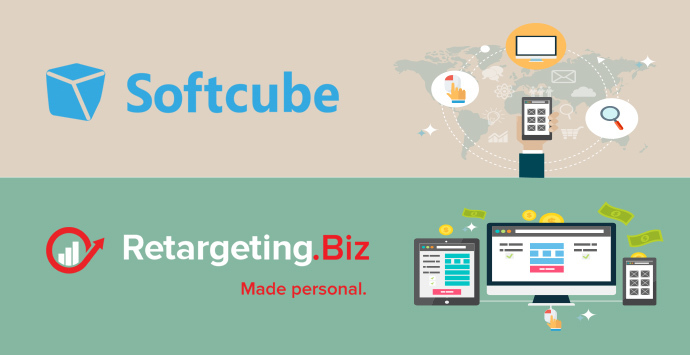 Softcube is another option you can consider if you’re planning to try remarketing. According to their website, they can put fragments of shopping experience together to relate retail and customer. Still, this might sound a bit complicated, so let’s break down every feature of the service these folks our offering. First of all, we have product recommendations, delivered by special algorithms, using customers’ historical data. They can improve customer shopping experience, increase customer conversion rates and the average order size, boosting total sales by up to a nifty 20%. Finally, we should also mention that Softcube offers SMS and push notifications as well, keeping you in constant contact with customers. Another company you can trust is Granify, as they claim to be able to analyze everything from the shopper’s journey and pathway to their smallest mouse movements and hesitations. To be more specific, their platform monitors over 400 attributes per second, understanding a visitor’s digital body language and predict their next moves. Through their unique Decision Engine, Granify is able to detect if there are any objections preventing a visitor from purchasing and automatically introduces a message or stimuli, turning him or her into a client and saving you a sale. The entire process is automated and happens while the visitor is still on your site! Unlike Retargeting.Biz and Softcube, which are offering multiple features, this seems to be their only service. Still, it doesn’t mean it’s not effective! Which one of our picks do you think it suits your business best? Tell us your thoughts, using the comments section below! Also, if you have already used any of them, we’re looking forward to reading your opinions! Black Friday 2018: Is your brand ready? The conversational commerce hype is real! What they need and want is what matters the most!